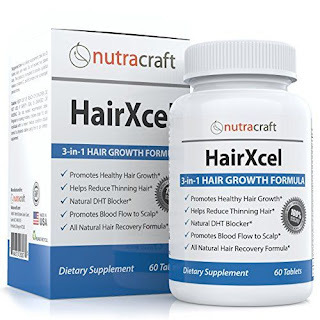 Formulated by NutraCraft, HairXcel is a leading hair growth supplement designed to repair brittle and damaged hair. HairXcel aims to prevent breakage, hair loss, hair thinning, and thin, dull hair appearance by strengthening your hair follicles. This herbal supplement is a natural remedy that’s ideal for men and women. Can HairXcel prevent hair loss? 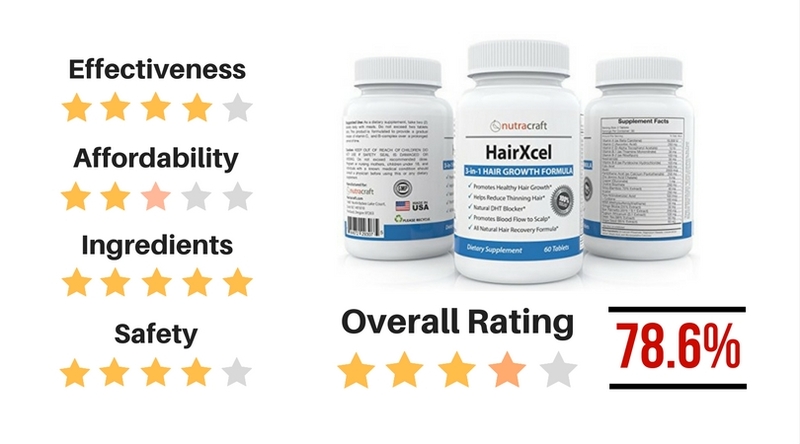 Upon looking at the ingredient list of this supplement and reading the online customer reviews, HairXcel seems to be a very genuine hair health supplement that can indeed help prevent hair loss and promote healthy hair growth. This potent supplement contains a good blend of key vitamins A, B, C, D and E, all of which are solid hair beneficiaries. The addition of Folic Acid and Biotin also help with the promotion of hair growth, making this an excellent multi-purpose supplement for overall hair health. HairXcel also contains a 250mg dosage of Saw Palmetto, which is thought to inhibit the formation of DHT. Supplements that contain both Biotin and Saw Palmetto are though to work well in the prevention of hair fall and the promotion of hair growth. Did HairXcel work in our test? After using HairXcel for a three month testing period, the supplement proved to be a good hair health supplement with very positive results. Less hair fall was evident in as quickly as just three weeks. New hair growth, even though ever so slightly, was visible around the temples, but no evidence of new hair was evident at the crown. There were no reported major side-effects from using HairXcel, but minor side-effects such as stomach discomfort and slight fatigue were reported at the very early stages of use. 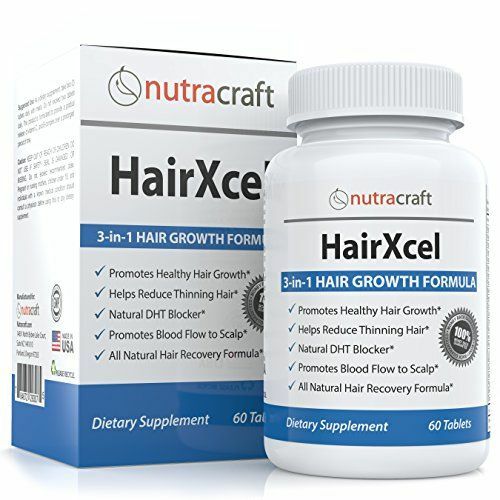 If you tend to suffer from dry, brittle or damaged hair, then HairXcel is a good supplement for you to try. It can also be effective for men and women who suffer from early stages of balding and thinning hair. 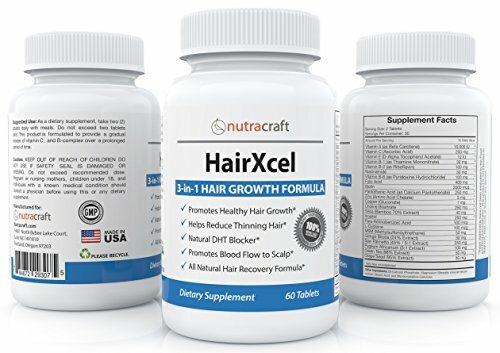 HairXcel will not work if you are completely bald and looking for a hair loss cure. What do we think of HairXcel? HairXcel is a good all round hair health supplement that seems quite fair on the price front. This supplement contains some of the best hair ingredients that make it a safe and potent treatment for hair fall. Apart from a few minor side-effects, we would recommend this supplement to men or women who are looking to get the very best out of their hair. This supplement should not be mistaken for a hair loss cure. Overall, HairXcel showed good results over a three month testing period, and it can definitely help patients with thinning hair.